Sorry if this is incorrect or a topic exists. I searched and nothing came up (unless i didn't use the right key words). I am wondering if what bags you carry your skates and gear in(if you do)? I am looking for a storage/travel bag that would fit my inline skates (size 6, or 7 (I may have to return for the larger size) woman's skate, knee pads and wrist pads (when I get them, hoping to be on the thinner/less bulky side). I'd also like to be able to store clothing (I use packing cubes, if needed) for a few days.. I'd like to take my stakes on trips with me, and I travel pretty light (personal item or carry on only, as I only travel by cheap airlines or greyhound, unless with family). I just use a duffle bag. Nothing special. Thanks. For some reason, never thought of that. Just gotta see if any of the bags I have fit Frontier/Greyhound standards and fit my skates/pads and weekend worth of clothes. I use a cheapie daypack. I use a 21” rolling duffle with a zippered lower section that I put my skates in. The upper section fits my helmet, gloves, and all of those other skate stuff and clothing. I found it for much less on eBay and I think eBags sells it as well. Thanks for all the suggestions, I will look at those options. I chose the ROLLERBLADE Logo Skate Bag, as it was only $20.. figured if nothing else it'll keep my equipment and skates organized/together (hopefully) even here at the house. Maybe get another (like one of those mentioned) for traveling, as all the bags I have, my skates will fit (with the protective gear, minus helmet), but then I wouldn't have enough room for anything else, if I'm lucky, I'd get a lightweight jacket in the bags with it. Plus, I kind of like the idea of having the skates separated into different compartments (the rollerblade looks like one compartment). This way I'll have something and can research until I find another that will fit me needs (if needed). So now I have a lot of options to look into. Reusable grocery bag, the kind with a shiny, laminated material, side pocket for skating paraphernalia, and is slightly larger than the standard size. Mine has a picture of Sponge Bob Square Pants on both sides (bonus!). Getting the right size is important. You'll find a good selection at your local thrift store, and at a cheap price. Laptops were once a lot bigger. The bags from back then are useless for laptops. Unless you put the rest of your luggage in with them. works well. I used one for about 3 years. It will hold extra stuff too. Just a little advice, don’t leave your skates in the bag for long periods with sweaty skate pads. It will cause your skate bearings to go rusty. A good few hours of sunlight will dry and sanitise your pads. Also a spray bottle with a solution of white vinegar and water and sprayed on the pads also stops the pads from smelling bad. It kills the bacteria that causes the bad smel. Thanks so much, I keep the pads in the side pocket (and I spray it with "exercise equipment spray (not sure what it's called)". It came in one of my monthly mystery boxes, mostly for things that can't be washed (yoga mats, etc).. so I spray them with that, let them air out and still keep them in the side pocket. I also spray the helmet with the spray. That's a great idea for how to make my own spray though - as I don't know what's in the spray I have since it was in the box I received, lol.. so will be nice to make my own when it's gone. Pulling the insoles and letting your skates air out after a session is even cheaper. What ratio do you use? 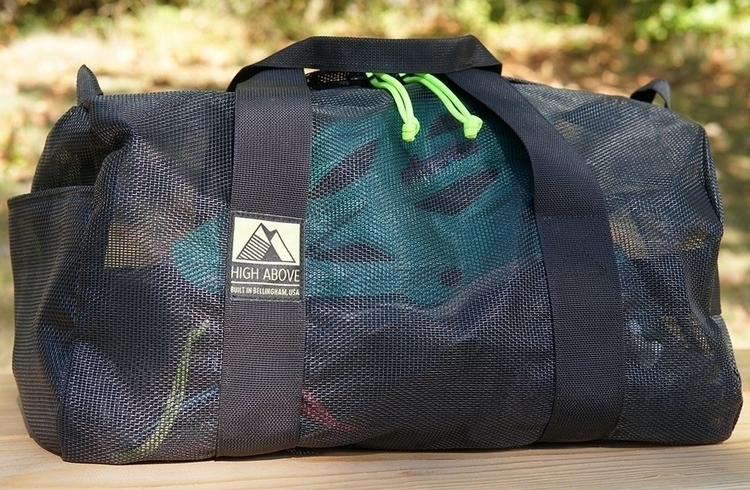 I've been using an inexpensive mesh duffel bag for decades. +1 for Darren's recommendation to keep skates fresh. As alternate try tea tree oil and with hazel with water(make a home brew in a spray bottle), which is naturally antibacterial anti-fungal, and imo smells better than vinegar. We are down to our last few bottles of Notorious Red, a proprietary blend of tea tree, peppermint, witch hazel and other essential oils. This stuff works and smells awesome! The company has stopped production so be sure to get your hands on some to keep those skates smelling fresh.